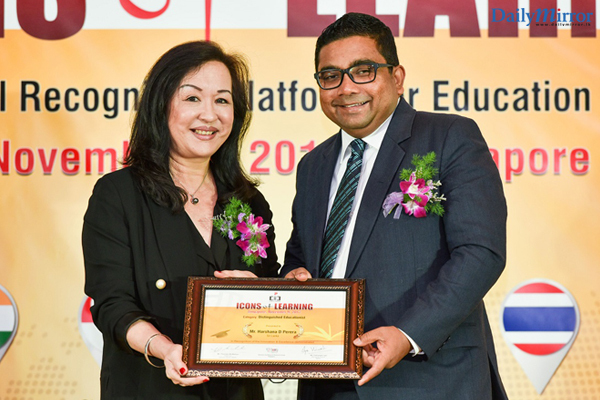 Recognizing a career filled with remarkable achievements in education and invaluable contribution to institutions of learning, Asian International School of Sri Lanka, Principal, Harshana Perera was recently presented with the Award for Distinguished Educationist at the Fourth Annual Icons of Learning Summit & Awards held in Singapore. Hosted by the Singapore-based Business Excellence & Research Group (BERG), the Icons of Learning Summit is designed as a thought leadership platform that brings together various stakeholders within the ecosystems of education and life-long learning in order to exchange ideas and recognize best practices in action. Speaking at the event, Perera elaborated on the challenges of educating young people in a manner that prepares them with the skills and technical expertise necessary for a productive professional career. 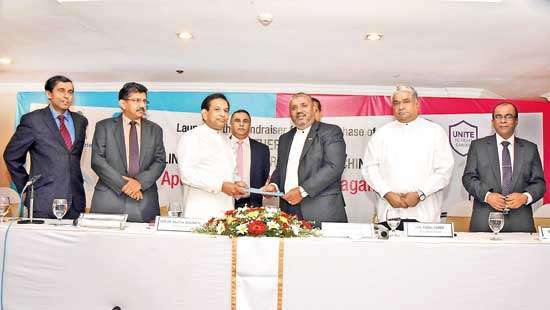 Moving forward, Perera reaffirmed the AIS faculty’s commitment to continue setting new benchmarks for Sri Lankan education providers, thereby supporting the process of continuous refinement of teaching and evaluation methods that produce skilled, adaptable school leavers capable of achieving excellence in their professional careers. 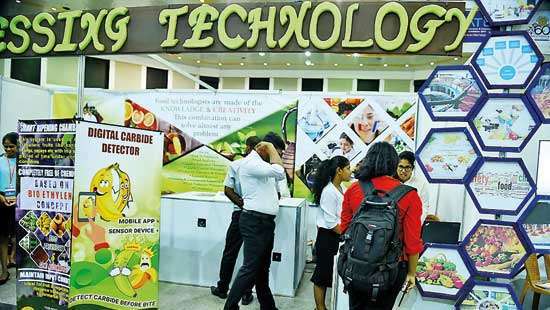 This year’s summit witnessed participation from education institutions ranging from schools, colleges, private universities as well as edtech startups from South & South East Asian countries. Leading educational institutions from India, Singapore, Sri Lanka, Thailand, UAE and Malaysia were presented the Icons of Learning 2017 Award in recognition of their unique approaches in education management and quality delivery methods.